First quarter earnings season could be what decides how soon stocks return to all-time highs. The S&P 500 punched through a key resistance level at 2,900, and the next target for technicians was its record high of 2,940 if it holds above it. J.P. Morgan's record results and earnings beat was a good omen for reporting season and helped send financial stocks higher Friday morning. Chevron's $33 billion acquisition of Anadarko drove shares higher across the down beaten energy sector, on speculation there would be other deals. Analysts are especially watching financials to see if the group can gain any traction during earnings season. Dozens of S&P companies, including Bank of America, Goldman Sachs, Johnson and Johnson, United Healthcare and IBM report earnings over the next few days, while J.P. Morgan Chase, Wells Fargo and PNC reported Friday morning. J.P. Morgan's results were seen as a good omen for the start of the earnings season, with record results that beat on the top and bottom line. Scott Redler, partner with T3Live.com said traders have been looking at the earnings season as the catalyst that could make or break the market's effort to reclaim its highs. He said stocks started off strong Friday because of China credit data and a surprise boost in Chinese exports. That was followed by J.P. Morgan's strong earnings and CEO Jamie Dimon's comments that the U.S. economy was strong. The third driver was Chevron's $33 billion acquisition of Anadarko, which sparked a rally in the energy sector as traders speculated on more deals. 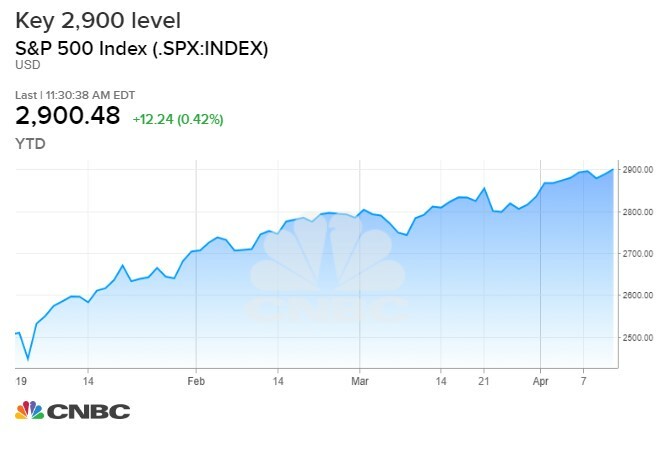 "You put all three together and now all of a sudden, we're here at 2019 highs with 2,940 the next key spot," Redler said. First quarter earnings are expected to see the first actual profit decline since 2016. According to FactSet, analysts expect a 4.2 percent drop in S&P 500 earnings. However, analysts are divided on whether the second quarter will be positive or negative, so the company guidance after current quarter results will be crucial to the market's valuation. "It's going to be the first quarter earnings that are going to take us another leg higher. If they're not great or a lot of companies guide lower, there will not be much more upside," said Redler. While just one report, J.P. Morgan is a bellwether for the market and financials, a key group that could help push the market to its highs. "The S&P is in a tug of war, trying just to move ahead of first quarter earnings, trying to figure out if the results will be good enough to sustain this area. It's been hard to push through 2,900. There's a lot baked into this move," Redler said. "The banks really haven't led the rally, but lately they haven't been a headwind. If the banks respond well to earnings, it should maybe help fuel the move above 2,900." 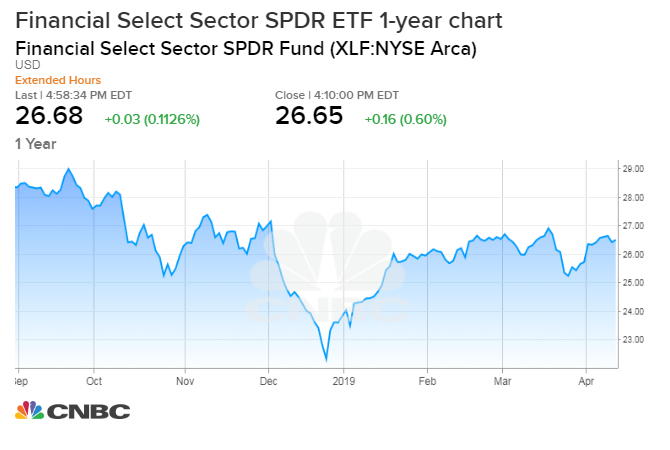 Since the market hit bottom after December's wipeout, all the major sectors have rallied double digits, with the tech sector's 32 percent gain leading the way. Financials have lagged, and are eighth out of the 11 sectors with just a 19% rebound. Health care and utlities are at the bottom each with a gain of just above 12%. Analysts say the financial names could be an important contributor on the road to new highs. "The financials are important. 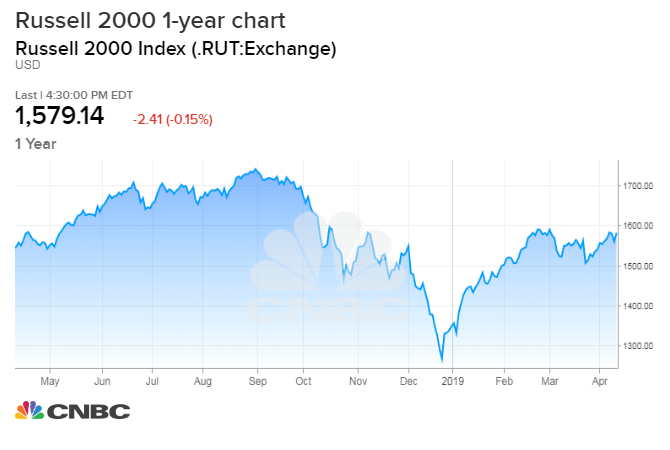 There was a big bounce back in the past few weeks, but that was out of an extremely oversold condition," said Frank Cappelleri, executive director at Instinet. "A lot of eyes are on them to see if the financials steady at this point. The tech stocks could lead...The S&P will pay attention to the financials if they collapse, but they don't need them to make new highs." "You just need an extra push here. The important thing is what does that internal participation look like when you get that new high. Is it just the tech and FANG stocks, or is it industrial and financials, and even energy contributing to the move?" said Todd Sohn, technical analyst with Strategas. "I'm okay they're lagging in performance but they haven't jumped over the February highs yet," said Sohn. "They peaked in February, whereas the S&P now is right back to the January 2018 highs," Sohn said. "Keep in mind, with small caps, bank stocks are a big weight in the [Russell 2000] index. So we need the banks to work in small caps and getting them to work too would be helpful to the broader market."